Hey my beautiful ladies! 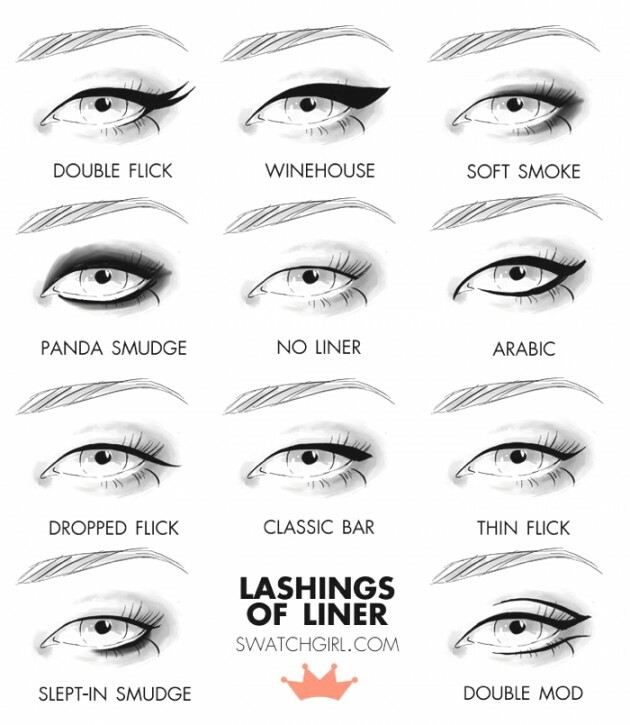 Beside the fact that for someone looks easy, creating the perfect cat-eye or winged liner look can be really tricky! If your shaky hand is making your relationship with eyeliner a difficult one, don’t feel sad: we’ve gathered 15 eyeliner hacks, tips and tricks that even eyeliner newbies can master. Check out the following hacks that’ll seriously change your eyeliner game! 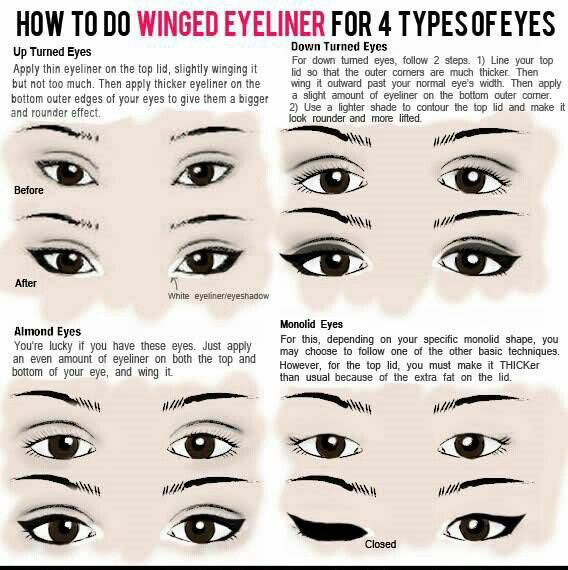 Look at the picture below and figure out what kind of winged eyeliner looks best for your eye type. Use this handy brush guide in your quest to become a lining pro! 1. Tight Line – A thin, flat-shaped brush will give you the ability to distribute pigment evenly in between your lashes. This brush works best with powder, cream/cake, and gel eye liners. 2. 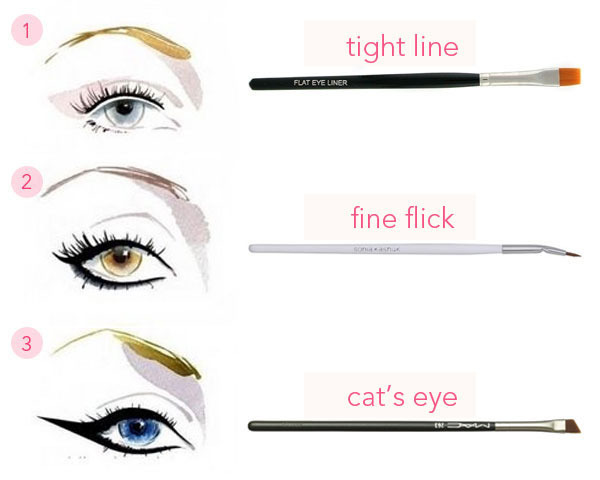 Fine Flick – A bent liner brush is a great tool if you’re new to eye liner and lets you control the fluidity and movement of the makeup so you can draw the thinnest of lines. This brush works best with cream/cake, gel, and liquid formulas. 3. Cat’s Eye – The brush’s sharp, slanted design lets you create both precise angles and thick wings that take up more surface area on the lid. As the most versatile brush of the bunch, it works with all types of eye liner. If one line is too mainstream for you, feel free to add one more. Check it out below how to achieve the double winged eyeliner look. And here is one more tutorial for those of you who want to add more than one line. This time, you are allowed to add two different shades of eyeliner. Check it out. 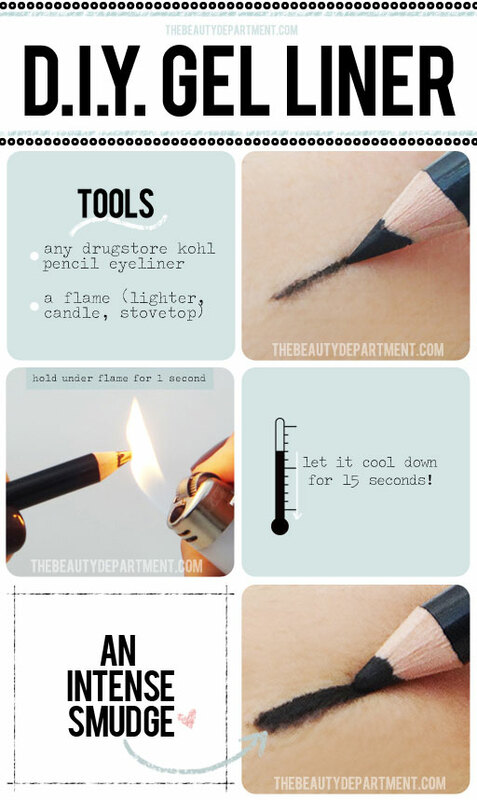 Learn how to perfectly smudge your eyeliner to get it a slightly lived-in look without being messy. 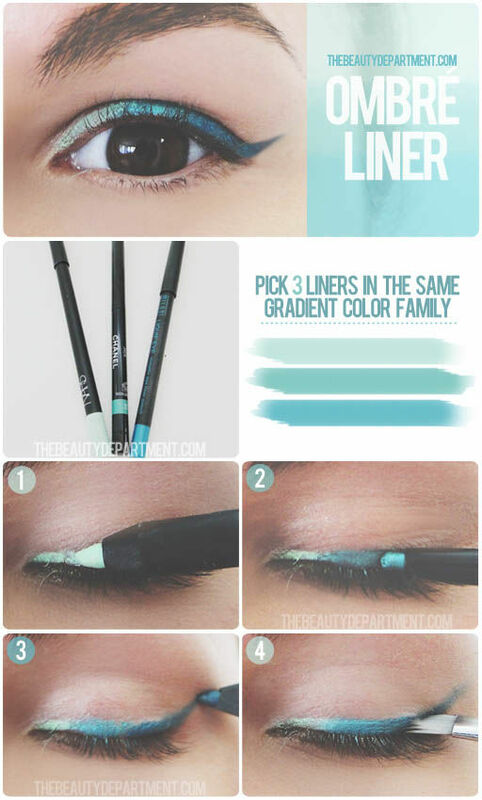 The ombre eyeliner look is easier than it seems! Recreate this with any color you’d like. This dramatic style for those with smaller eyes or those who just want to try something different. 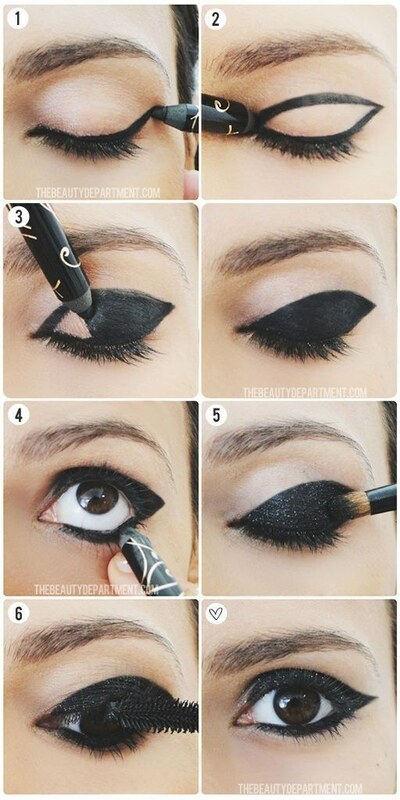 Use a lot of black liner and glitter to create a super dramatic look for a night out. This is such a playful and creative take on winged-out liquid liner and easy to do with this DIY tutorial.